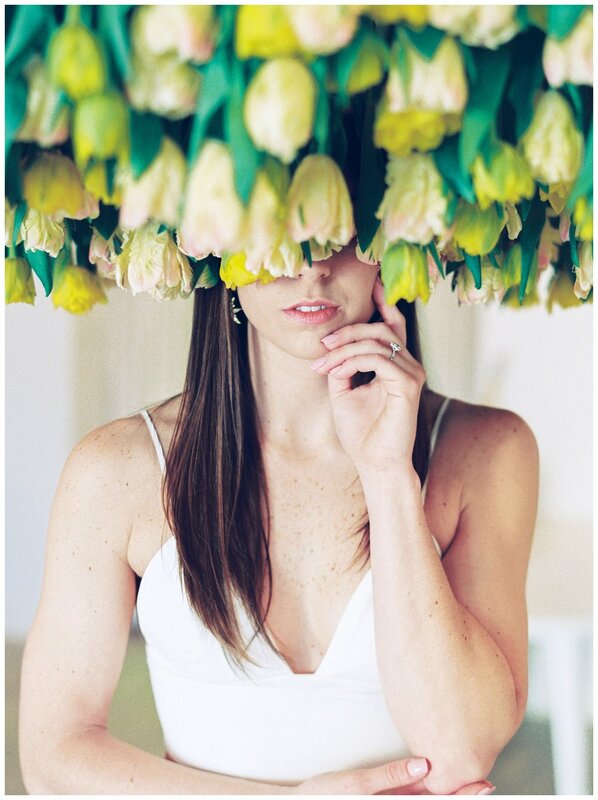 When Sarah from Intrigue Designs asks if you would like to take photos in her stunning floral workshop, you say YES! Intrigue is one of the world’s best floral designers and they host workshops all around the globe. This year, Sarah just so happened to host one at Prism in Annapolis! I loved the minimalism of the space and the white walls were the perfect accompaniment to all of the wildly creative blooms. I was lucky enough to capture the real engagement session of Liz and Dennis. These two are also in the wedding industry (Liz was a florist and Dennis is an officiant!) so they jumped at the chance to do something creative and out of the box! Here are my favorite snaps from the day in Annapolis! Special thanks to White Glove Rentals for their lovely furniture and PhotoVision Prints for developing my film!